Please click here to sell your Wayne La Com painting or receive a free art evaluation of your piece. Click to review some of the paintings we've recently purchased by Wayne La Com. Member: California Water Color Society. Wayne La Com grew up in Southern California and attended art schools in Los Angeles where he studied watercolor painting with Hardie Gramatky, Watson Cross, Rico Lebrun and Stanton MacDonaldWright. During World War II, he worked with Hardie Gramatky producing illustration art for the war effort and after the war, spent a brief period in New York producing commercial art, By the late 1940s, he was back in Southern California and was receiving notoriety for the watercolors he produced. 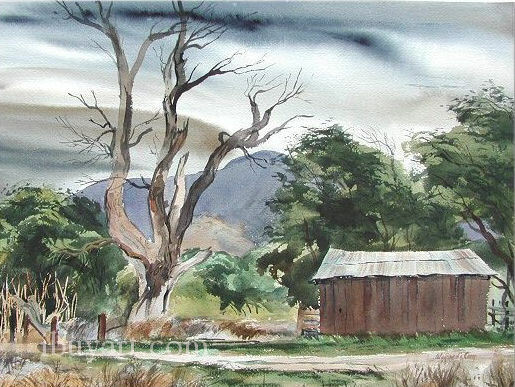 In 1965, he was elected president of the California Water Color Society. 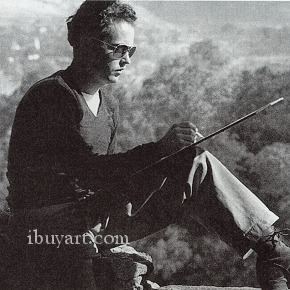 La Com also taught art for thirty years, worked as a graphic designer, and operated an art gallery in Encino. When California Style watercolors were receiving attention in the 1960s, he was among the most prominent of the post World War 11 group. 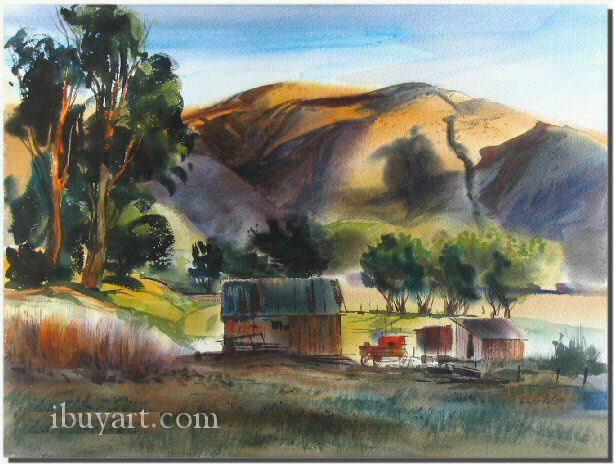 His watercolors often depict coastline subjects in California. In addition, he has produced a body of work painted on location in Hawaii, where he and his wife Diane have spent a great deal of time. Biography posted with permission of �California Watercolors 1850-1970� by Gordon T. McClelland and Jay T. Last. Copyright Hillcrest Press, Inc. 2002.